New work permit fees in UAE announced yesterday 04th December 2017 by the Ministry of Human Resources and Emiratisation. New fee structure depends on the skill level of workers and the classification of companies. The MOHRE will also implement a new system for classification of businesses into 3 main categories. This classification is based on skill level such as skilled workers or limited skill workers. Point to be noted that UAE new work permit rules will be monitored by new system, in which ministry will check either the worker is inside the country or outside the country. Companies who are recruiting local citizens (Emirati) or Gulf country citizens (GCC Citizens) along with fishing boat facilities provider will be exempt from new work permit fees in the UAE. Under the new UAE work permit system, new work permit fees will be applied after confirming the category of company and level of skills of the worker (employee), depending whether worker (employee) is outside or inside UAE. The first category of the new work permit system includes fishing boats owned by UAE citizens and UAE enterprises, those who owned memberships of the Emiratisation Partners Club, all those enterprises who are associates (members) of the youth project support institutions in UAE which meet the terms and conditions as well as the new service centers named “TADBEER”. 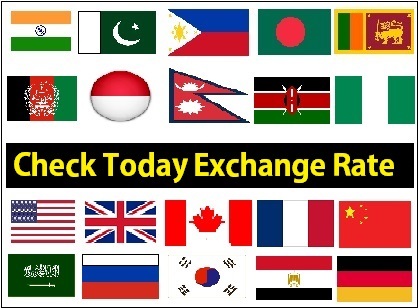 Companies are listed and classified as Category 2 with sub-classification as A, B, C and D in this category based on ratio of skilled workers and a company's commitment to multicultural diversity. In easy words, category 2 companies are divided into 4 Levels such as 2A, 2B, 2C & 2D. A company will be classified as Category 2A if it has 40% (40 per cent) or more skilled workers of its total work force. Moreover, ratio of diversity (range) of workers should be beyond 50% (50 per cent). In simple words at least 50% (50 per cent) of the multicultural ratio are available in company. A company will be classified as Category 2B which own skilled workers between 10% (10 per cent) and less than 40% (40 per cent) and at least 50% (50 per cent) of the multicultural ratio. In simple words, as per Cabinet resolution, if company do not have work force more than 3 workers or 4 to 10 workers will be classified in category 2B if 50% of multicultural ratio is met. A company will be classified as Category 2C if its percentage of skilled employees (workers) ranges between 5% (5 per cent) and less than 10% (10 per cent) of the total work force and it has at least 50% (50 per cent) of the multicultural ratio. A company will be classified as Category 2D if company percentage of skilled workers (employees) is less than 5% (5 per cent) of the total work force, or the company does not have at least 50% (50 per cent) of the multicultural ratio. A company will be classified as Category 3 of the latest UAE work permit system if it has committed 1 or more of the total 10 violations stated in the Labour Law. New fees for issuing UAE work permit for a worker (employee) from outside the country will be 200 AED from onward 04th December 2017 for the 3 categories. New fees for issuing a work permit for 2 years is 300 AED for the companies listed in the category 1, regardless of the skill level of the worker. New fees for the company classifieds in category 2 Level 2A will be 500 AED for the skilled worker and 1200 AED for semi-skilled workers. Fees for Level 2B skilled workers will be 1000 AED and 2200 AED for semi-skilled workers. Level 2C will get charged 1500 AED for skilled workers and 2700 AED for semi-skilled workers. New Fees for Level 2D skilled workers is 2000 AED and 3200 AED for semi-skilled workers. The New UAE work permit fee for companies who are listed in category 3 will be 500 AED, this fee is for skilled workers. The new UAE work permit fee for those who are on sponsorship of their parents for establishments (companies) listed in the different categories will be 200 AED. The new fees for UAE work permit for those who are under their parents for a period of 2 years will be 300 AED regardless of the skill level of the worker. Companies in category 2 Level 2A for skilled workers is 500 AED and 1000 AED for semi-skilled workers. For Level 2B the fee will be 1000 AED for skilled workers and 2000 AED for semi-skilled workers. Companies of category 2 Level 2C will need to pay 1500 AED for new work permit for a skilled worker and 2500 AED for a semi-skilled worker. For Level 2D, companies will be charged 2000 AED for skilled workers and 3000 AED for semi-skilled workers. New UAE work permit fees for companies classified as a category 3 will be 5000 AED regardless of the level of skill of employee (worker). Application fee for UAE part time work permits is 100 AED for different categories of companies, moreover 500 AED is the fee for issuing a work permit for 1 year in UAE for teenagers who want to do a part time job. 1: Requesting UAE temporary work permit. 2: Issuing UAE temporary work permit for each month. 3: Requesting UAE work permit for some time. 4: Issuing a work permit for some time for each month. 5: Requesting UAE training permit. 6: Issuing UAE training permit for a month. 7: Requesting UAE permit to test the worker. 8: Issue UAE permit to test the worker for each month. Companies classifieds in all 3 categories will be charged 100 AED for each service requesting a transfer permit and transferring or use of an employee (worker) from one company to another and requesting a new permission to transfer and hire an employee (worker) from one company to another running by the same proprietor (owner) or partner, for a period of 2 years. 1500 AED is the transfer fee, if company is listed in category 1 and requesting a transfer permit, or requesting to use worker from one company to another regardless of the skill level of the worker. New UAE transfer permit fee for category 2 companies at Level 2A will be 250 AED for the skilled workers and 500 AED for the semi-skilled workers. Level 2B will need to pay 500 AED for the skilled workers and 1000 AED for the limited or semi-skilled workers (employees). Companies who are listed in category 2 Level 2C will be charged 750 AED for skilled workers and 1250 AED for semi-skilled (limited skill) workers. Transferring of Level 2D skilled workers (employees) will cost 1250 AED whereas companies need to pay 1500 AED for semi-skilled workers. Companies who are listed in 3rd and last category will pay 2500 AED regardless of the skill level of company worker or employee. Companies who are qualified for category 1 will pay 300 AED work permit renewal fee for the period of 2 years regardless of the level of skills of the worker. Level 2A of 2nd category will need to pay 500 AED for skilled and 1200 AED for semi-skilled workers. Fee for Level 2B is 1000 AED for skilled workers and 2200 AED for limited or semi-skilled workers. Fee that is fixed for Level 2C is 2500 AED for skilled workers and 2700 AED for semi-skilled workers. Last level of 2nd category is 2D, this level will be charged 2000 AED for skilled workers and 3200 AED for limited or semi-skilled workers. Companies who are qualified for the 3rd and last category will have to pay 5000 AED for the renewal and amendment request, regardless of the skill level of employee or worker. A fee of Dh200 was allocated for the companies listed in the three categories for each service to change the work permit or the job contract. A fee of Dh100 per month for the companies included in the three categories has been determined for the renewal of a work permit. All companies who are under above 3 mentioned categories in the latest classification system will need to pay 2000 AED for opening of a company or registering a company in UAE. As per new work permit rules in UAE, the unified fee for all 3 categories in the classification system was set at 250 AED for the electronic signature. New classification system announced 3 categories, companies in all 3 categories will need pay 200 AED for issuing a PRO Card (public relations officer card for expats in UAE) for the period of 2 years. The new fee for the issuance of UAE electronic work permit for domestic workers for the period of 2 years for citizens and 1 year for expats (foreign workers) is 100 AED. Renewal fee of an electronic work permit for domestic workers is also 100 AED. 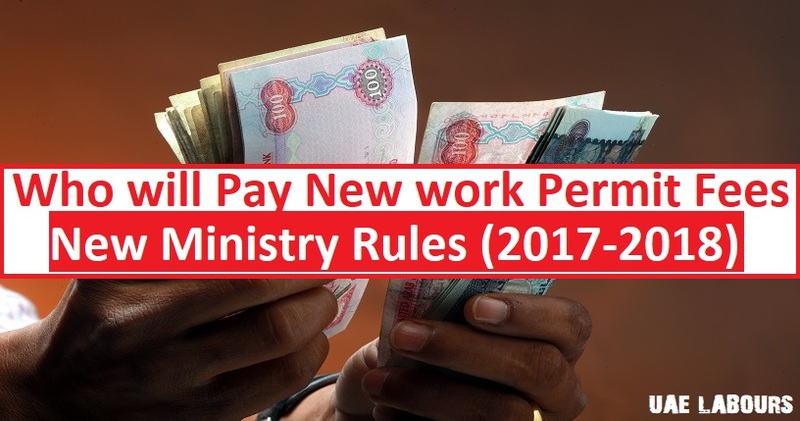 As per latest Ministry Rules, the new fee for the issuance of a work contract for domestic workers for 2 years for citizens and 1 year for expats (Foreign workers in UAE) is 50 AED. Renewal fee of an electronic work contract for domestic workers is also 50 AED. You may contact (MOHRE) the Ministry of Human Resources and Emiratisation (previously, the Ministry of Labour) in the event of a dispute with your employer (company) or should you face any infringements/violations in respect of your rights as an employee (worker). Dubai Immigration visa Rules are changing day by day, Please Like our Facebook page and refer our link to your friends and relatives to get latest updates regarding UAE Labour Law 2018, Latest Visa Rules, Dubai Ban, Dubai visa status online, Removal of travel ban in UAE, Blacklist Issues, Absconding cases and other visa issues. I just want to give a quick advise to any one out there that is having difficulty in his or her relationship to contact Dr.Agbazara because he is the only one that is capable to bring back broken relationship or broken marriages within time limit of 48 hours with his spiritual powers. You can contact Dr.Agbazara by writing him through his email at ( agbazara @ gmail. com ) OR call/WhatsApp him on +2348104102662, in any situation you are into. My employer was applied employment visa for me as on 5th jan -18. But they asking me to submit my original certificate to get attestation in UAE Embassy . I have done notary attestation in India. Is this necessary to submit again in UAE. Advice me!! I'm Nouman Riaz and I m here in Abu Dhabi . Actually I have done bsc honors and Postgraduation in hotel management . Sir according to my college inspiration I came here and applied through them in hotels . They received 200 aed from me to get interview. I received a call from hotel that there is a opportunity of waiter . I went there and gave interview and hence cleared . I signed the unlimited contract and offer letter in which duty timing was 8 hours . And salary was 1100 basic + service charges. After 5 days they call me to submit my passport and get them join . I joined them and then I realized that it's fake, they are they taking 3 to 4 hours extra without paying . I also got feedback about timing but the voice was " your incoming timing is fixed but u can't go back as per you own will or duty timing " ohhh 1100 salary + long hours broken me . I cried in front of them please let me go, I can't work here. They threat me to complain the police that you steal money from here . I get feared and worked for one day more . On 3rd day I went to HR department and by begging them to release my passport but now they are asking for 4000 aed for releasing my passport. Weather I didn't get approved from labour contract or didn't have medical test or nor my visa is pasted . So sir it's a case kindly help me in this regard and tell me what to do. You can go to police by yourself brother and tell them employer is holding your passport. No employer is allowed to hold passport of the employee. Good informative post i love to read. This is such an informative post. You have a lot of really great points. I wish I had this post as a resource when I started blogging. uae employment visa procedure, uae immigration, residence visa agency dubai. I need one advise please. Currently I am on RAK freezone visa. I have already resigned from my current company but they are not cancelling my visa and created lot of problems with me despite of giving me clearance for everything. I am in labor court with them but the process is very long for the court. I have another Job alhamdulilah which is in Dubai. Can I get temporary work permit for Dubai so that I wont loose the opportunity. It has help me in finding out more detail about "Dubai Visa Online"
China Work Visa and Permits is issued to a foreign citizen who is to take up a post or employment throught HiTouch Consulting. Sir, FInd out is this is genuine or not .